Jackson Hole Classical Academy’s Tuition Assistance Program is designed to help students attend the school. Our system evaluates each family’s situation on an individual basis and determines their ability to afford enrollment. Applications for tuition assistance for the 2019 – 2020 school year are due Sunday, March 17, 2019. A Tuition Assistance Award results in reduced tuition; it is not a loan and does not need to be paid back. The Academy utilizes a third party assessment partner, FAST, to objectively analyze each family’s financial situation. The Admissions process and the Tuition Assistance process are handled independently of one another. A student must have submitted an Enrollment Application prior to consideration for a Tuition Assistance Award. Jackson Hole Classical Academy’s Tuition Assistance Committee will review each application individually to determine the amount of an Award given. The Tuition Assistance Committee will review each application individually, and take into consideration all information provided by FAST, as well as supplemental information provided by parents, to determine the amount of an Award given. Submission of 2018 tax information is required. A draft of 2018 taxes can be used but please send the final version. If there are no differences in the returns then tuition assistance will not change. There is a $45 non-refundable processing fee per family, payable to FAST on completion of the tuition assistance application. Please click below to begin your application for tuition assistance. You will be taken to the FAST website. Applying for Financial Aid The Financial Aid for School Tuition (FAST) program provides a need-based financial aid analysis service that includes an income verification process. All information from FAST remains confidential and is reviewed by the school. 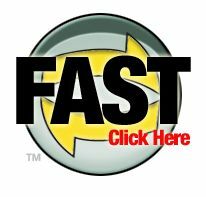 You must apply for financial aid each year, using the online FAST application. After applying, you will mail tax documents to FAST for income verification purposes. Please enter your name on the application exactly as it appears on your tax return. The online application process is self-guided. You can partially complete an application and go back to it another time, if you don’t want to complete the application in one sitting. In order to be eligible for consideration by the Tuition Assistance Committee, all of the following must be complete: 1. The Student must have submitted a complete Enrollment Application. 2. Mail the family’s most recent 1040 and W-2s, corresponding Federal Tax Return, including all schedules and attachments directly to FAST. 3. The Tuition Assistance Application must be verified by FAST including all required financial information and requested supplemental documentation.